Unicorn or Harbinger? 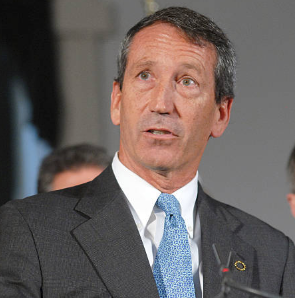 A Republican Carbon Tax Is Readied for Debut. “House Republican will introduce $23 climate fee next week.” That’s the headline of an article today in E&E News reporting that Rep. Carlos Curbelo, a two-term Republican representing Florida’s 26th Congressional District, is finalizing a bill that would impose a carbon-emissions fee on most U.S. fossil fuel-burning sectors and also eliminate or at least pause some federal regulations on climate change. E&E calls Curbelo’s pending bill “a rare effort by a Republican to address global temperature increases by reducing greenhouse gases.” That’s an understatement. To the best of our recollection, the bill would be the first carbon tax proposed by a sitting G.O.P. Congressmember or Senator in roughly a decade. 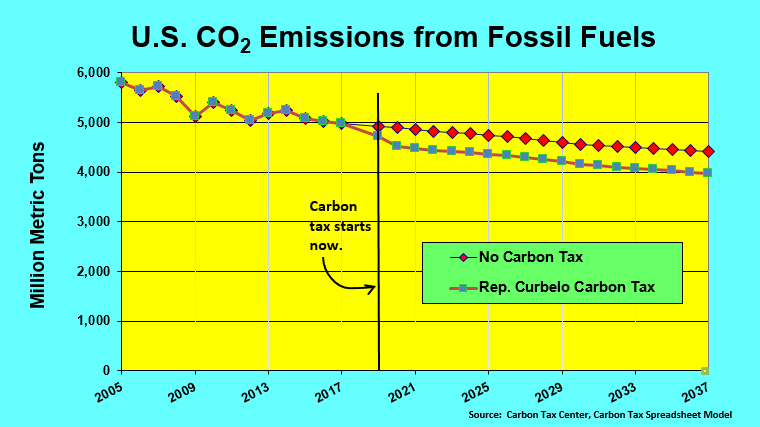 Any needle-moving from the Curbelo carbon tax would be in the political realm, not in direct emission cuts. By 2032, the emissions drop from 2005 would reach 30% (per Curbelo) or 29% (per our modeling). But seeing as nearly half of that decrease was already in place without a carbon tax in 2017 — a year that is closer to the 2005 base year than to 2032 — the Curbelo proposal has to be seen as fairly thin on actual climate deliverables. 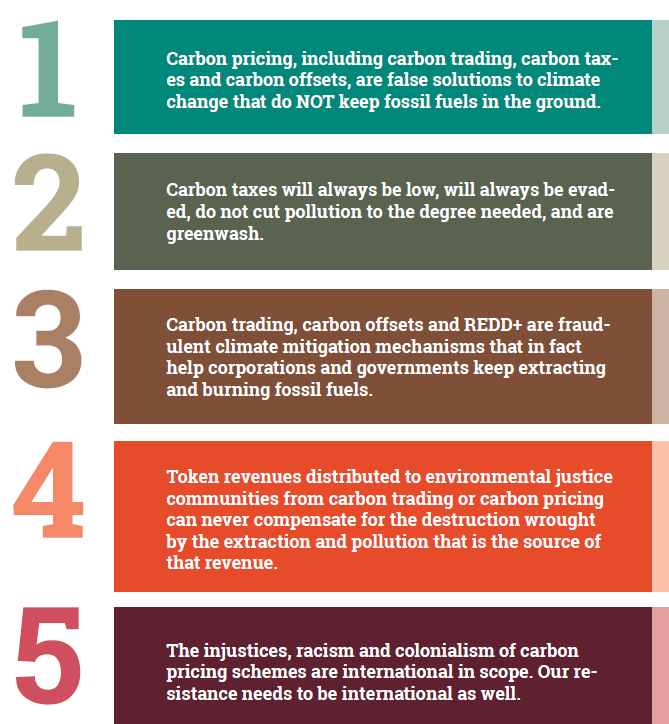 Which is what one would expect from a carbon price that barely exceeds $20 per ton (the bill’s $23 starting price is per metric ton) and rises by only 2% a year above general inflation, although the bill contains a provision to ratchet up the increase if reductions fall short of specified targets. Nevertheless, there’s a bigger picture to consider. 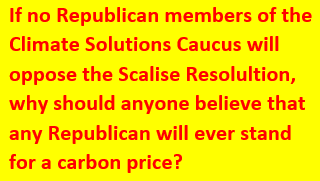 Just yesterday we put up a post bemoaning the possibility that the anti-carbon-tax Scalise Resolution would pass, as it did in 2016, without a single Republican dissent. Now it looks like Rep. Curbelo is set to dissent in spades by shattering the decade-long G.O.P. prohibition against sponsoring or endorsing — let alone introducing — a carbon-tax bill. 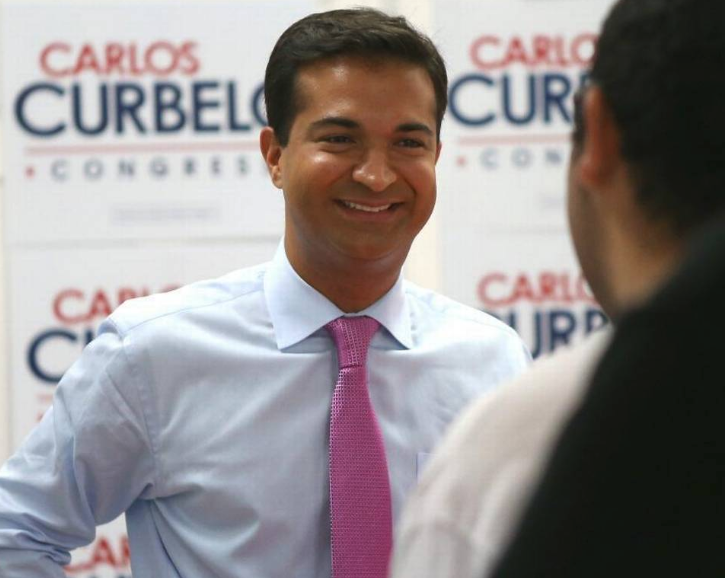 If any D.C. Republican was going to take such a step, it was likely to be Carlos Curbelo. His 26th CD, extending from southwest Miami to the Everglades and covering the Florida peninsula’s entire southern tip, is a climate ground-zero twice over — sea-level rise plus hurricanes — and a classic swing district (it went blue by double-digits in the last two presidential races). A year after taking his seat in January 2015, Curbelo co-founded the bipartisan Climate Solutions Caucus with fellow Floridian Ted Deutch, a Democrat representing the 22nd CD. Whether by conscience or calculation or a combination of the two, Curbelo clearly read the handwriting and elected to break ranks with his party’s denialist orthodoxy. 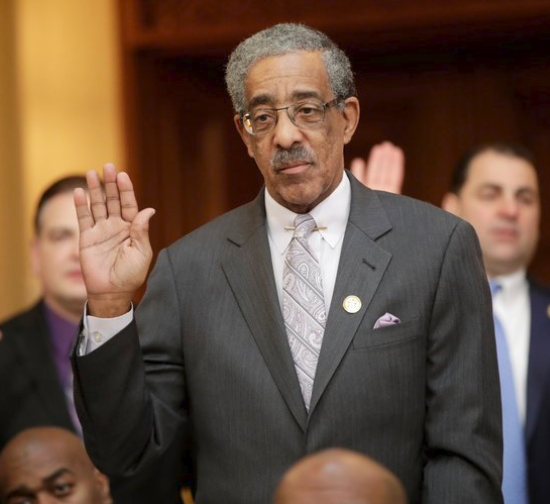 The Curbelo bill itself is full of political calculation, which isn’t necessarily a bad thing. It would clear the books of the long-standing federal highway excise taxes — 18.4 cents per gallon of gasoline, 24.4 cents for diesel. The carbon tax, with its built-in annual increases, would more than make up the difference, though at the cost of a percentage point or two of economy-wide carbon reductions due to the diluting effect of the swap. The Highway Trust Fund would be a big net winner, receiving 70 percent of the entire revenue take. 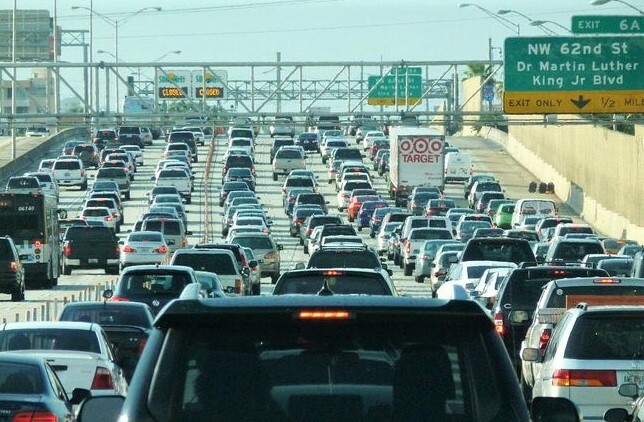 Whether that’s bad or good depends on whether the increased revenue is allocated to highway expansions or “fix-it-first” infrastructure repairs. G.O.P. carbon-tax trailblazer Carlos Curbelo. Pic credit: Miami Herald. 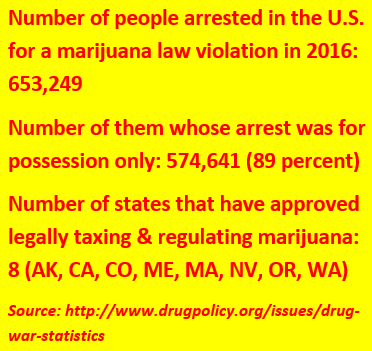 The bill stands no chance of passage this year, of course, or in almost any imaginable Republican-controlled Congress. Indeed, under the G.O.P.’s Hastert Rule, Rep. Curbelo would need 117 Republican co-sponsors simply to clear the “majority of the majority” threshold and get the bill to the House floor. If Rep. Curbelo were a Democrat, we would be measuring his bill against Democratic carbon-tax proposals such as Rep. John Larson’s America Wins Act (HR 4209), whose carbon price starts at $49/ton and which devotes $1 trillion to infrastructure (plus transition assistance for coal country and a relatively small “dividend” for households), and which has a few dozen Democratic co-sponsors. And while the Larson bill’s 2%-plus-inflation price increase trajectory has the same slope as Curbelo’s, it operates on a much higher base and thus packs more punch. But that comparison runs the risk of missing the point: that a “long national nightmare” of Republican silence and inaction on climate may be starting to end. Whether other G.O.P. lawmakers will stand with Curbelo remains to be seen. He is at least blazing a path, and for that he deserves our thanks. CTC supporter and volunteer Bob Narus contributed research and ideas to this post. Another Carbon-Dividend Group. Will It Matter? Carbon-dividend proponents continue, as ever, to push for national “fee and dividend” legislation. Today the Washington, DC-based Climate Leadership Council announced formation of a lobbying arm, Americans for Carbon Dividends, headlined by former Senate Republican majority leader Trent Lott, former Senator John Breaux (D-LA) and former Federal Reserve chair Janet Yellen. 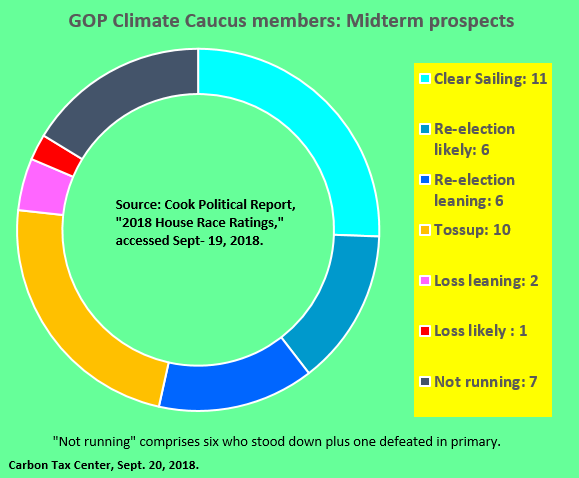 This follows the news last month that the Climate Solutions Caucus — a project spearheaded by the grassroots Citizens Climate Lobby — has enrolled four new Republican House members, bringing total membership to 78 — 39 R’s and 39 Dem’s (with each new Republican, a Democrat is brought in from a waiting list). 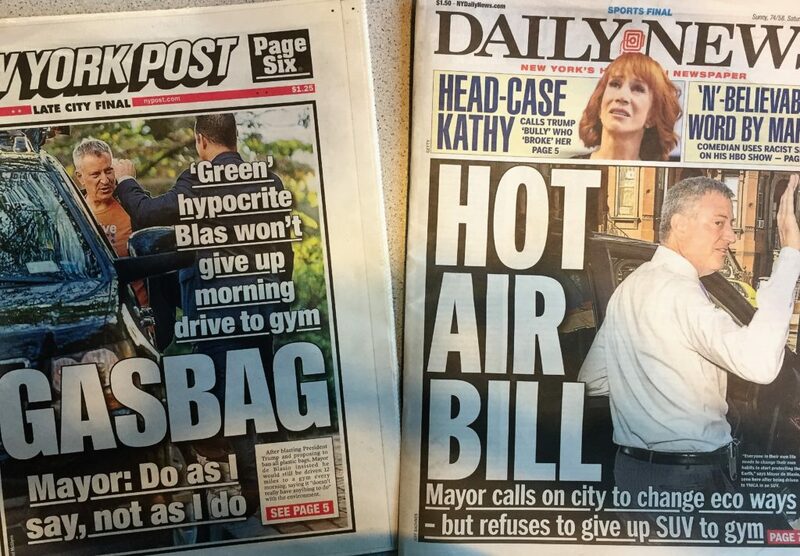 So much for the premise of bipartisanship built into the political strategy for carbon fee-and-dividend. Alas, reality doesn’t bend so easily. Especially when it comes in the guise of a Congress ruled by, as it is often said, Earth’s only major political party (among democratically run countries) that has sworn itself to disbelieve in human-caused climate change and to disavow the necessity or possibility of public policy to combat it. 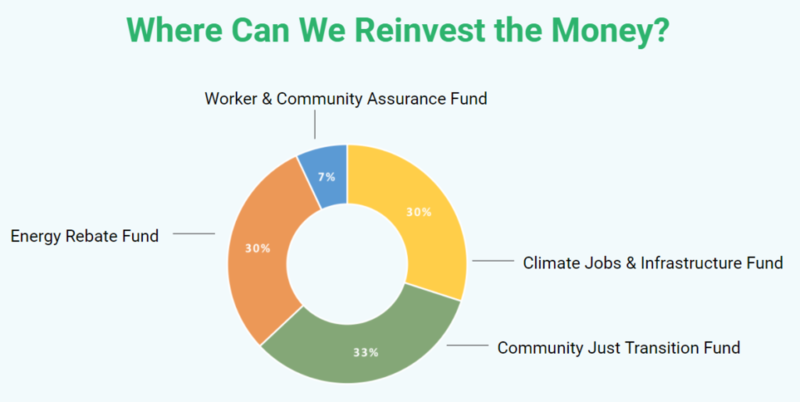 At this writing, 17 months into the Trump administration and 28 months since the Climate Solutions Caucus was founded, not a single Republican member has uttered a word of support for carbon fee-and-dividend legislation, much less written or co-sponsored a CFD-themed bill — even though, from the outset, the political strategy behind CFD has been built on bipartisanship. By the same token, the impressive list of Republican luminaries standing with CLC/ACD consists entirely of former office-holders: former Sen. Lott, former Reagan and Bush-41 cabinet secretaries James Baker and George Shultz (the latter’s cabinet service actually extends back to the Nixon presidency), and others whose glittering credentials are shown on the CLC and ACD web sites. This isn’t meant to disparage these organizations or individuals (excepting current GOP office-holders). We have written glowingly of the fee and dividend concept for a decade, including last year in articles in The Nation and the Washington Spectator. Both pieces praised the Climate Leadership Council’s advocacy, as have our numerous blogs (here, here, and here, inter alia). We were honored to gain George Shultz’s signature on our 2015 Call to Paris Climate Negotiators: Tax Carbon, and are stirred that, in his 98th year, Secretary Shultz continues to devote himself to climate sustainability on behalf of both CLC and Citizens Climate Lobby. We have also worked closely with CCL since its formation in 2009, fielding hundreds of queries from CCL activists on tax incidence, energy modeling and other “technical” matters and gratefully accepting financial contributions from CCL members as well. So it’s with a measure of sadness that we share here our sense that the time for carbon dividend proposals has probably passed. The center to which Baker-Shultz (CLC) and fee-and-dividend (CCL) were designed to appeal barely exists. It’s not just that no sitting Republican has endorsed Baker-Shultz or indeed fee-and-dividend in any form. 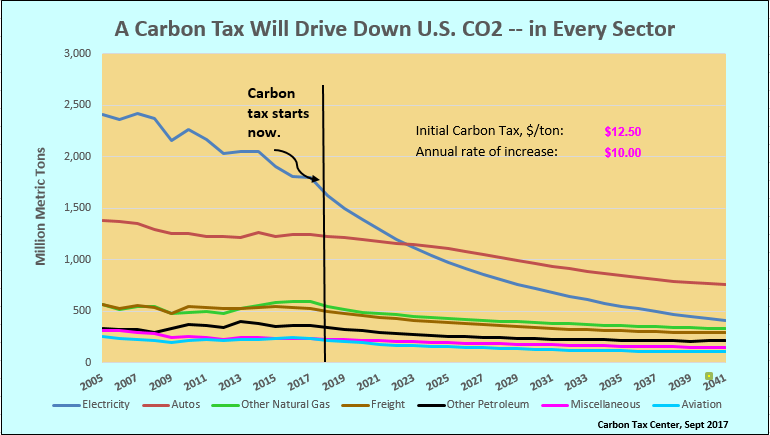 It’s also that the Democratic majority that will be needed to pass a carbon tax bill appears unlikely to rally around a revenue-neutral carbon tax, whether it’s organized as fee-and-dividend or some form of tax swap. 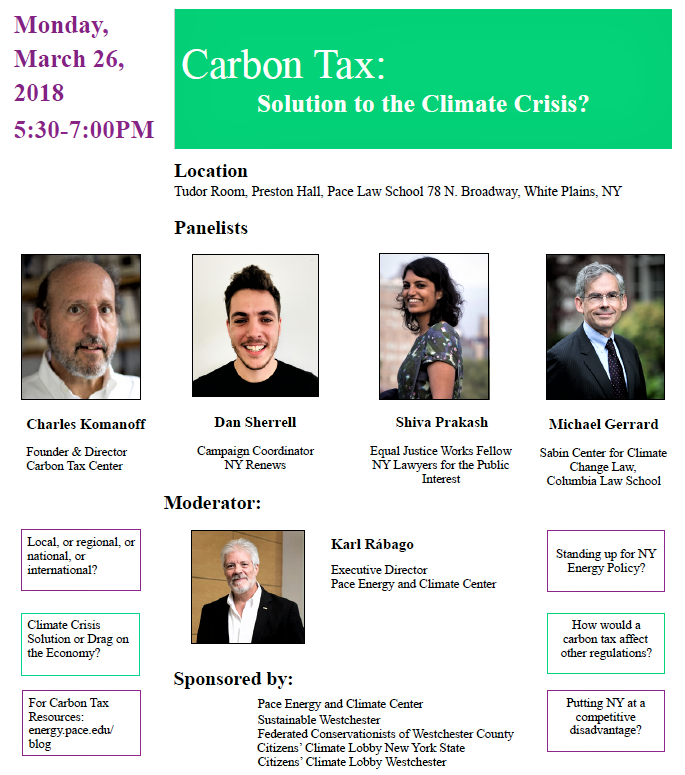 There’s nothing wrong with that, provided such a carbon tax can pass and that its tax level rises quickly enough over time to overcome the lesser price-sensitivities (“elasticities”) that govern driving, freight, air travel and the like, which make it harder for carbon-pricing to drive down emissions in the economy’s non-electric sectors. But of course a good deal of the intended appeal of carbon dividend plans was that households, with politicians following in their wake, might support raising the carbon tax because the size of their dividend checks would rise in tandem. Diluting the dividends weakens the appeal. While sentiments like Wasserman’s help rouse the climate base, they don’t point to a policy solution. 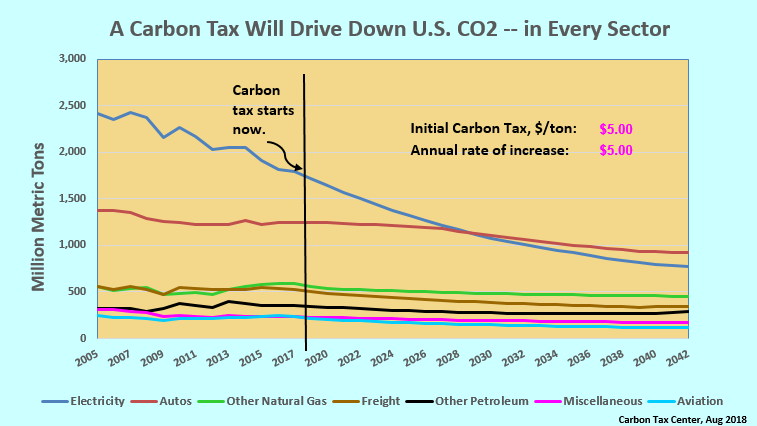 Like the polar icecaps themselves, the center that would support a revenue-neutral carbon tax or other carbon-tax-based “grand bargain” continues to shrink. As the horrors of the Trump administration and its Congressional Republican enablers continue to mount, there’s no apparent middle ground, whether in climate and carbon-taxing or in any consequential policy-making. We can commend the ACD initiative — which former Senators Lott and Breaux have detailed in a New York Times op-ed — while bemoaning its lack of political currency. The political struggle to contain climate change has moved to the courts and to the state and local levels. If and when a semblance of sanity returns to Congress and the White House, that state and local mobilization will be critical to enacting the carbon tax and complementary policies necessary to achieve deep cuts in emissions. Note: A month after we published this post, Rep. Carlos Curbelo (FL-26), introduced a carbon-tax bill — the first from a Republican member of Congress in a decade — as we reported here.